For high performers like you and me, relaxing can be hard work, even harder than real work. The reason is simple. We feel guilty about it. Because we were raised in a society that tells us always to be busy and hard-working and that relaxing is a waste of time. 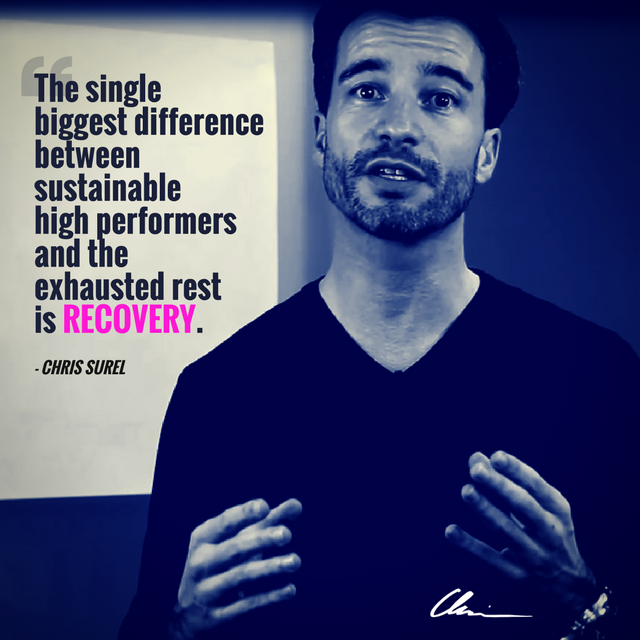 The true high performers understand that the opposite is true and recovery is the x factor for sustainable high performance. 1. 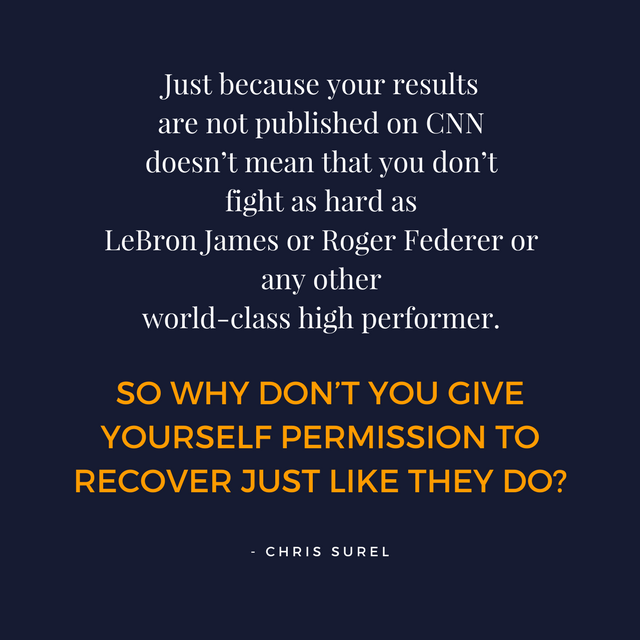 Reframe recovery. It’s not a weakness, it’s a strength. It’s a not wasted time, it’s quality time. 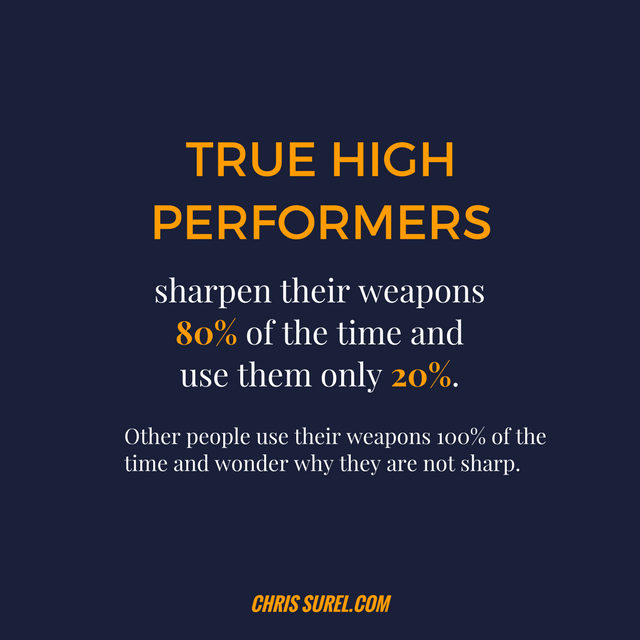 And it’s not for low performers but for true high performers. 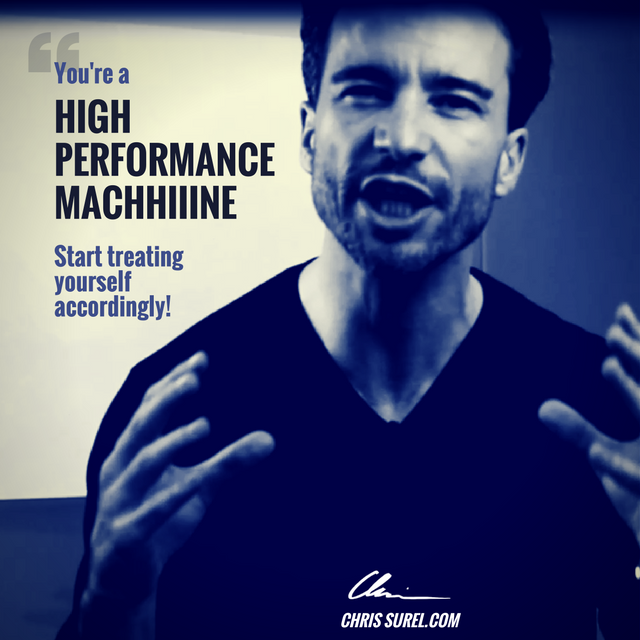 You are a high performance machine… Start treating yourself accordingly! 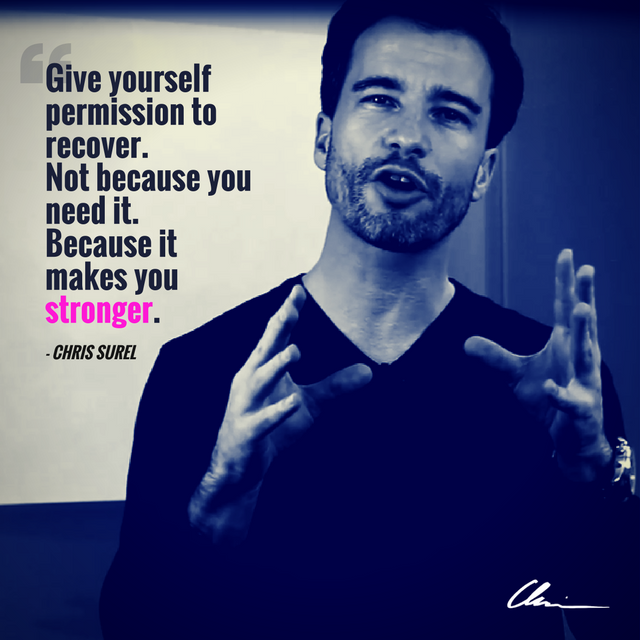 Give yourself the permission to recover! Not because you need it, but because you deserve it. 2. Define who you wanna be. Ask yourself – who do you wanna be? An exhausted, stressed out and empty little person who has no °Energy left to follow his goals and dreams or a sharp, energetic and charismatic person who performs at the highest level for years and decades? 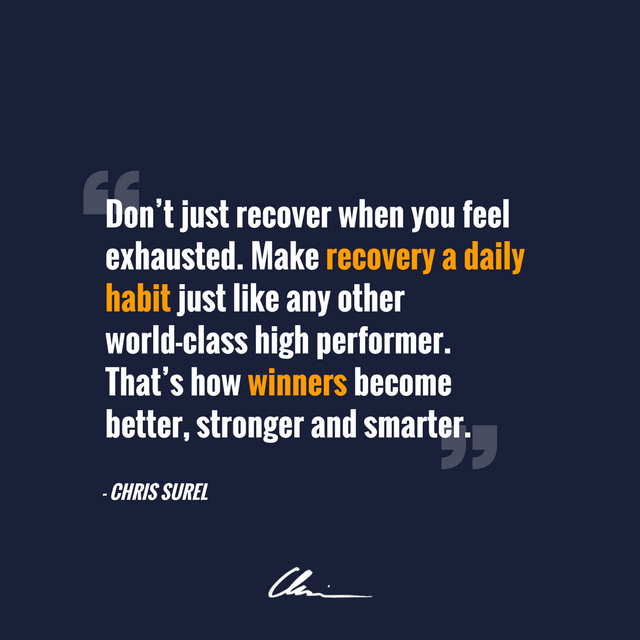 If you decide to be the latter, recovery becomes a MUST for you. 3. Make recovery a priority. We sometimes meet our Shoulds… but we ALWAYS meet our Musts, no matter what. So make recovery your new Must, a non-negotiable. 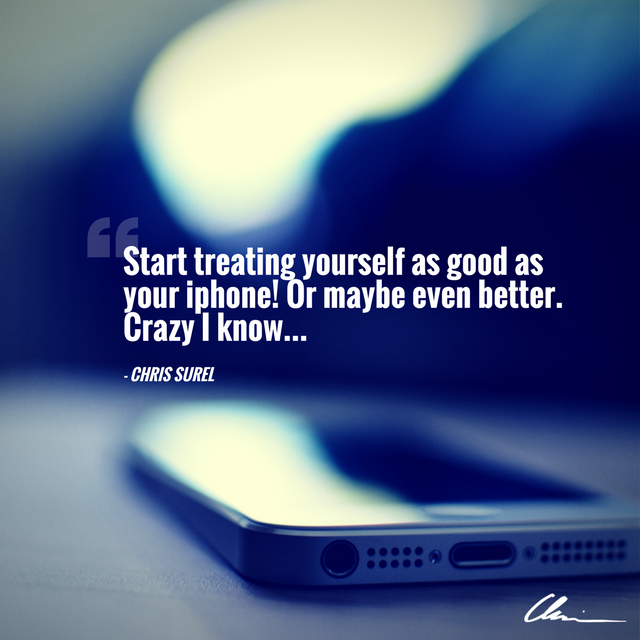 Because it makes you the best version of yourself! Watch the video above for the full lesson so that you can continue performing at the highest level! Want more training? Be the first to get updates!